Instagram has become a big hit. Just the other day, the photo social-sharing site announced that it has 90 million active users with 40 million new pictures posted each day. 8,500 likes are registered a second. That is truly tremendous for an app that started life an an iOS exclusive before finally getting the "green" light (see what we did there?) and adding support for Android devices. That is when Instagram really started growing although it remains to be seen if it will ever be worth the $1 billion that Facebook paid for the site (which at closing was closer to $750 million due to a drop in Facebook's stock). Instagram. of course, is limited to the sharing of still pictures. It surprises us that no one thought about offering such a service for video, but now here it is. Montaj lets you capture 5 seconds of video at a time. Now we know exactly what you're thinking. What the heck can you possibly say in a 5 second video that is worthy of being shared throughout the globe? But the founder of Montaj, Demir Gjokaj, says that Hollywood movies are shot in 5 second clips. This does make sense. Shoot a longer video and you will most likely upload it to YouTube. 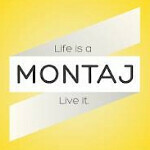 Besides, this site isn't called Montaj (Montage) for nothing. The 5 second clips are not your finished product. They form something akin to a storyboard which you can stitch them together in any order you like, even deleting some of the segments. You will be able to add filters, music, and other effects. Want to take a gamble at coming up with something amazing? Simply shake your phone and the app will randomly put together your video from the 5 second segments you've shot. And, like Instagram, the final product you've created can be shared. Montaj will launch for iOS on January 22nd with an Android launch expecting next quarter. Want to see what Montaj can do? Check out the video below! Devs focusing on iOS first and Android second. Gotta develop where the $$$ is. Please go ahead and thumbdown the thruth fandroid teens. Not into instagram at all, but this looks like something I'd be willing to try. Q2 isn't long to wait. There is something similar for iOS, that's called Cinegram, it's good, looks very similar to Intagram.